This piece is made to order and will take 3-4 weeks to process before shipping. 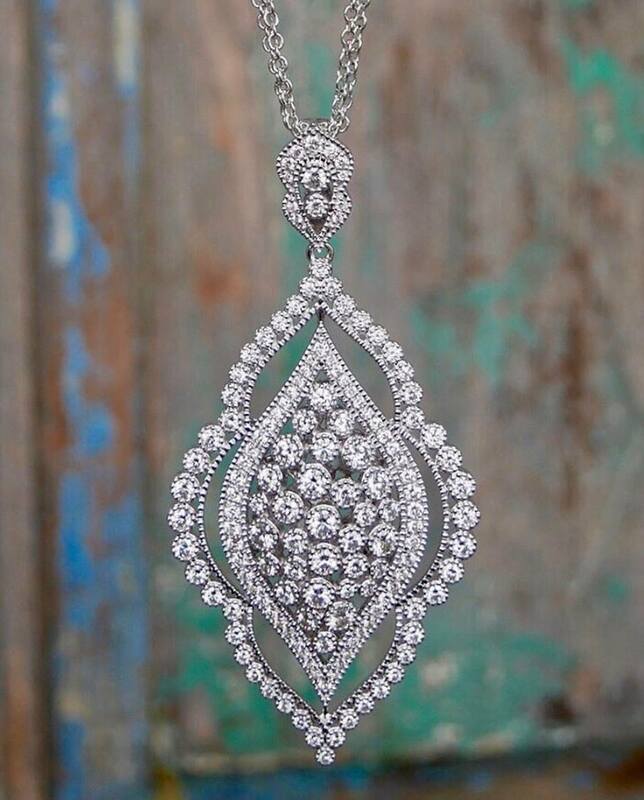 The Brut Pendant is 18k gold with bezel set round white diamonds throughout the pendant, and features an additional marquis shape with round white diamonds on the chain. Sara Weinstock’s designs have always, and continue to be, a window into her own soul. The first couture collection debuted in 2008 was glamorous and bohemian and carried a strong spiritual message about Sara’s transition through the end of her marriage and eventual rebirth as an entrepreneur. As a newly separated mother of two starting over in mid-life, the collection, which included amulets and talismans exquisitely crafted in gold and precious stones, contained symbolic messages that empowered Sara, and any other possessor, to keep moving forward in the quest for spiritual growth and self awareness.